To enter the contest just post back to this thread and have 15 posts this month! Since the month has already started and the fact that it's a short month, only 10 posts are required to win! 1) This contest is open to those with a valid shipping address. 2) The winner will be shipped his/her card as soon as possible. 5) Reply to this post to enter and it counts as one post! To enter the contest please contribute 15 posts to the forums this month without spamming anything and be sure to read the rules! Invite your friends or guild/clan members to join up also! If everyone can agree to the rules and can make 15 posts on the forums this month then please feel free to enter the contest. The winner will be drawn out of a hat at the end of the month and the prize will then be sent out after the full mailing address and phone number of the winner has been received. Last edited by Apoptosis on Mon Feb 12, 2007 3:45 pm, edited 2 times in total. I'm in on this one, XFX makes some really great products, and you can't beat their Double Lifetime Warranty! Oh, I love secret prizes! I'm soo in! Thanks to Legit Reviews for another great giveaway! pcrobot wrote: Oh, I love secret prizes! I'm soo in! Cheers and in case some our friends up north missed it this contest is open for residents of canada! Count me in this time again! I'm in and as always a big thanks to LR for making these contests possible. I will jump in on this one, since i have a XFX card in my computer now (FX5900 - DONT LAUGH :p lol). Another awesome contest by Legit Review!! im in! Even if its just an XFX Pen or something! I need more pens! KnightRid wrote: since i have a XFX card in my computer now (FX5900 - DONT LAUGH :p lol). 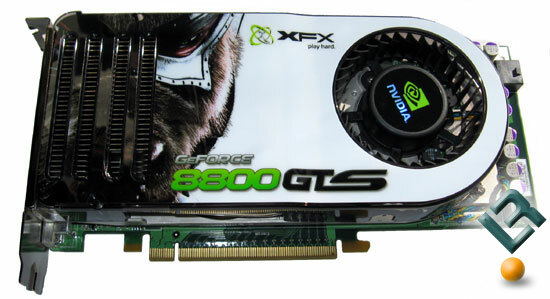 XFX make some great video cards!